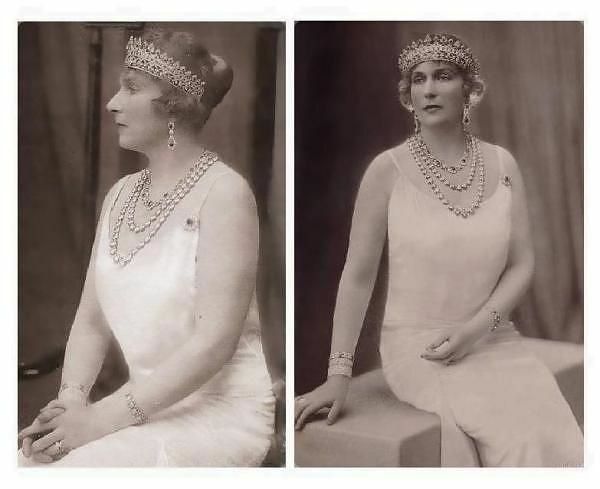 Most of the tiaras worn by our Magpie of the Month, Queen Ena of Spain, came from her own collection. As a queen consort, she received numerous bejeweled gifts, and the majority of the jewelry that she wore belonged specificially to her. But even queens borrow jewels occasionally, and today's tiara -- the strawberry leaf tiara that Ena wore in a series of portraits -- actually belonged to another royal: Ena's mother, Princess Beatrice. The strawberry leaf tiara originally belonged to Ena's grandmother, Queen Victoria of the United Kingdom. It began its life in the 1840s as a diamond and ruby bandeau. According to research on Ursula's site, Garrard altered the bandeau in 1860 to add a top row of strawberry leaves. The purchase order explains that the jeweler was responsible for "remounting Ruby and Diamond and head Ornament, addition of Strawberry leaves, scrolls and Ruby between" . Victoria and Albert apparently really liked strawberry-leaf designs; they also had a strawberry leaf tiara made as a wedding present for their daughter Alice. If you know your Victoria and Albert history, you know that the strawberry leaf tiara was remodeled just before Victoria put away all of her colorful jewelry for a decade. After Albert's death in 1861, she wore only white jewels. When she did return colored gemstones to her jewelry wardrobe, the strawberry leaf tiara, which featured rubies studded amidst the diamonds, was one of the first pieces she wore. When her daughter, Princess Louise, married the Marquess of Lorne in 1871, Victoria wore the strawberry leaf tiara and parts of its coordinating parure (earrings, necklace, and brooch) to the wedding. In 1885, Victoria gave the ruby and diamond parure to her youngest daughter, Princess Beatrice, as a present on her marriage to Prince Henry of Battenberg. Garrard's 1896 inventory of Victoria's jewels notes the gift as follows: "a ruby and diamond coronet pattern head ornament consisting of 14 lozenge-shaped clusters & 13 strawberry leaves with ruby and diamond band - part of a suite with necklace, brooch and earrings (Given to Princess Beatrice on her marriage 23 July 1885)" . 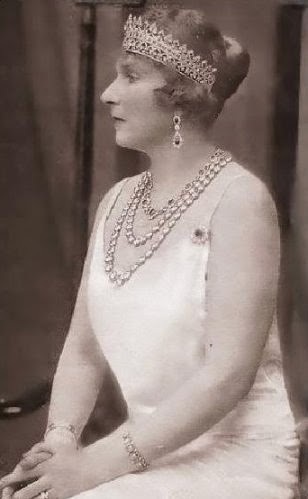 At some point after she received the tiara, Beatrice had a jeweler enlarge the piece by adding an additional row of diamond elements at its base, including strawberry leaf designs that mirror the top of the tiara. This addition is visible in the portrait of Beatrice painted by Spanish painter Joaquin Sorolla y Bastida. Beatrice and Sorolla y Bastida were likely brought together by her daughter, Ena, who had married King Alfonso XIII of Spain in 1906. 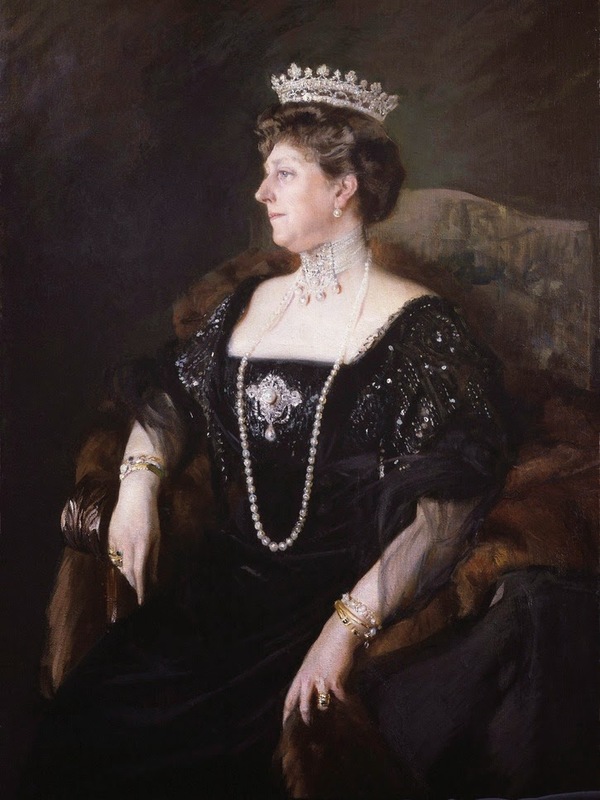 Note that Sorolla y Bastida has apparently painted the tiara as an all-diamond piece, although it still had rubies in its setting at this point. 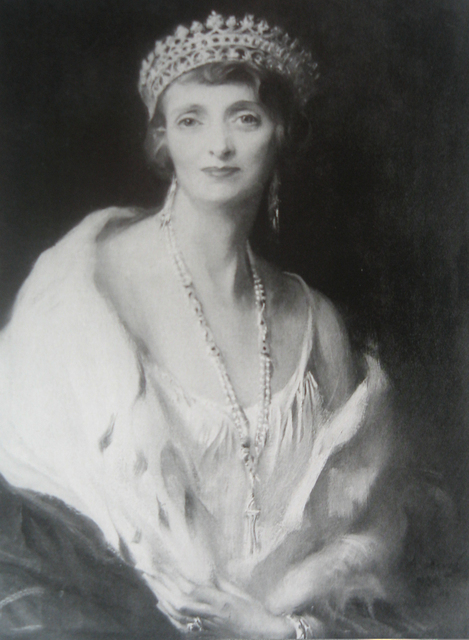 Ena posed for a series of portraits in her mother's parure at some point before Beatrice's death. 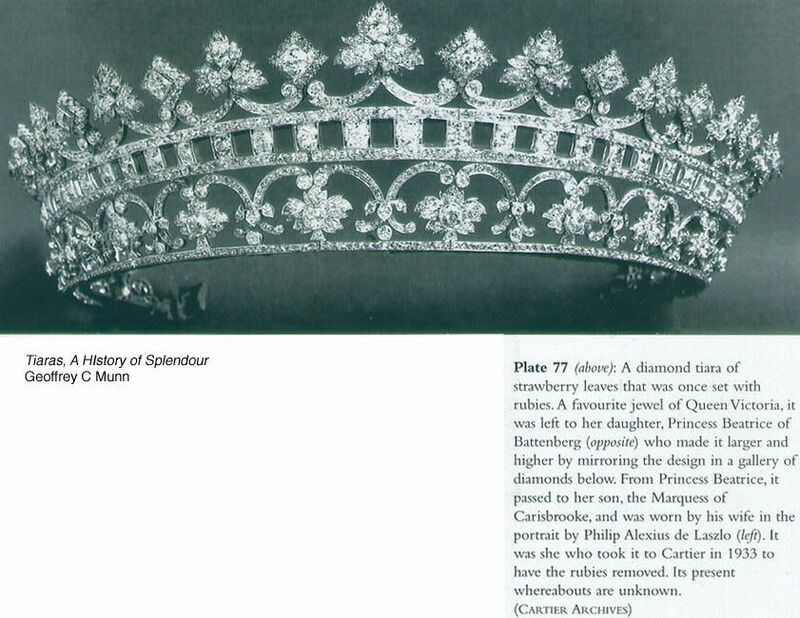 But she didn't inherit the tiara: instead, the ruby set was left to Ena's elder brother, the Marquess of Carisbrooke. His wife, Irene, sat for a portrait wearing the strawberry leaf tiara. 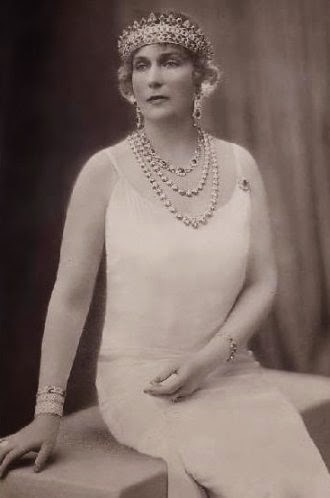 But the marchioness wasn't a big fan of rubies, and according to Geoffrey Munn, she took the tiara to Cartier in the 1933 and had it reset as an all-diamond piece. 1. See Ursula's website here. 2. See Ursula's website here.